Maverick customized sunglasses are characterized by their gold navigator style frame and smoky lens. This makes them fashionable and is favored by men of all ages. 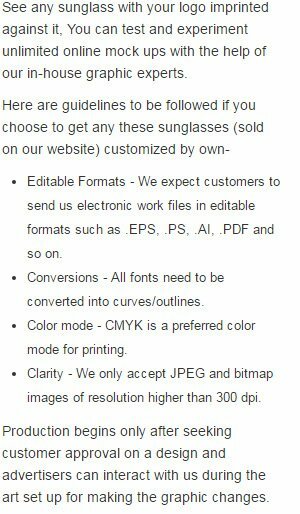 Advertisers can order these sunglasses in bulk to seek favorable benefits such as discounts, free art set up ( on orders above $300) and improved visibility. It makes a good gifting choice in any situation.